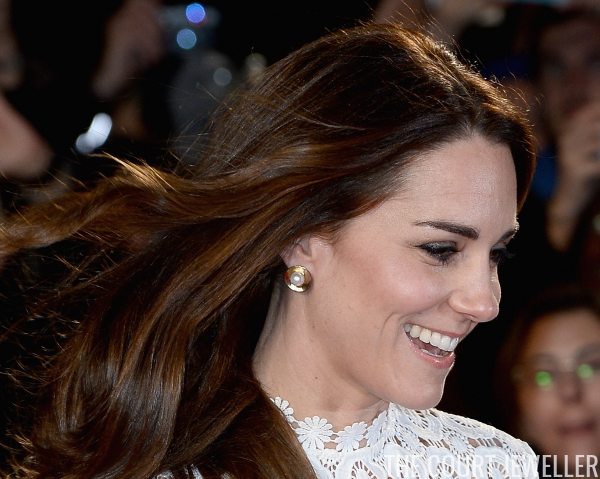 The Duchess of Cambridge was in London this evening for the premiere of A Street Cat Named Bob. 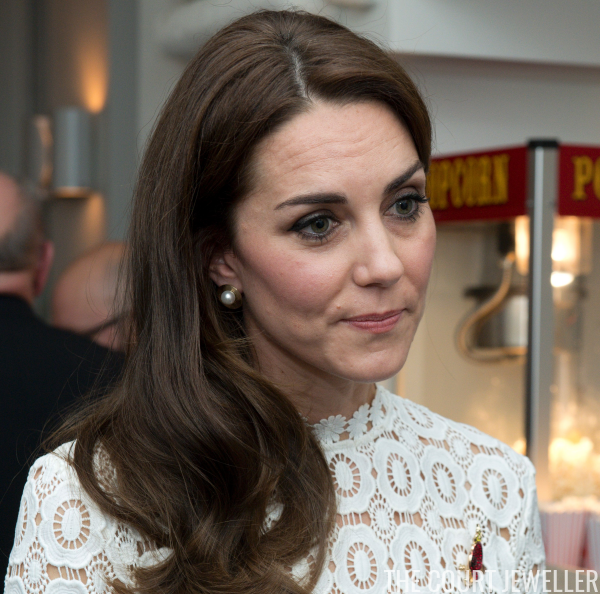 The event helped to support one of Kate's charities, Action on Addiction. Here's a look at the jewelry she chose for the premiere. With her Self Portrait dress, Kate wore a pair of earrings she recently debuted: her faux-pearl, gold-plated Oscar de la Renta button earrings. Because it's early November, Kate also wore her crystal poppy brooch from Buckley London. And, of course, she wore her usual rings as well. I think this would have been a great opportunity for Kate to go a little bigger in the earring department. What do you think: do you like the styling here, or would you swap these out for another pair?